Camp Raffalli, home of the 2e REP, an airborne regiment of the French Foreign Legion. Camp Raffalli of the 2e REP is stationed near the town of Calvi in Corsica. The base was named after Major Rémy Raffalli. In the beginning of this autumn the 2e REP conducted two major exercises. Vent d’automne (Autumn wind), when the entire regiment deployed to Balagne (Corsica) for one week. 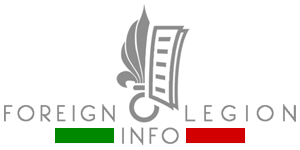 The 2nd Foreign Parachute Regiment (2e REP) of the French Foreign Legion publishes REP INFO, an online bulletin containing news of the activities of the regiment. See the full list of the bulletins having been released since September 2011. They bring useful information and a huge number of very nice pictures to you, their readers. Nice images of the Anti-tank section (Section antichars, SAC) of the Reconnaissance and Support Company (Compagnie d’éclairage et d’appui, CEA). CEA belongs to the 2nd Foreign Parachute Regiment (2e REP) of the French Foreign Legion. 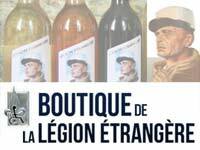 Last week, a 2nd Foreign Parachute Regiment (2e REP) of the French Foreign Legion celebrated “Saint-Michael Day” (La Fête de Saint-Michel). Saint-Michael is celebrated as the patron of paratroopers. 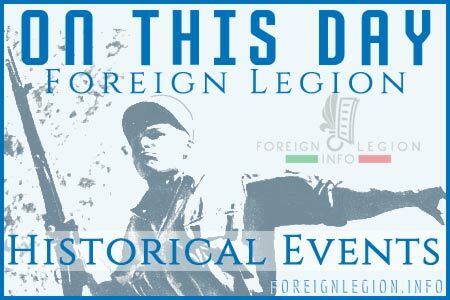 Today, September 29, 2012, 2nd Foreign Parachute Regiment (2e REP) of the French Foreign Legion celebrates “Saint-Michael Day” (La Fête de Saint-Michel). Saint-Michael is celebrated as the patron of paratroopers.